As with many first businesses, QBD opened with conservative plans hoping to make a fair wage and eventually repay the bank. With an overdraft and a lot of energy the family got to work rebuilding the shop at Garden City. It did not take long before the customers started returning. Focussed on service, price, merchandising, range and all the everyday issues that makes a great retailer QBD once again began to grow. In October 1993 QBD opened its second shop at Indooroopilly and signed the lease for its third location in Maroochydore to open in November 1994. 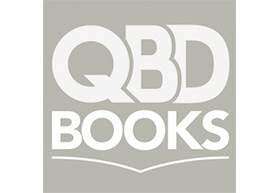 During this time the branding was refocussed to be known as "QBD The Bookshop" as it is today. During the next few years the other QBD shops owned by other operators were either closed down or purchased by the Robinson family. With the opening of the sixth location at the Myer Centre-Brisbane the storage stress was too much for the home garage (with the local street blocked by a semi-trailer and the buses not able to pass it was time! ), so the first warehouse was purchased in Sumner Park with a small office space totalling 150sqm (this is equivalent to an average shop). A second move was made to a 1200sqm warehouse, with QBD then relocating to Richlands to its current 3000sqm building. QBD's commitment to customers has ensured an extremely strong following, offering the best loyalty program in the industry, massive savings off current titles and a well laid out shop that is always neat and tidy. Display presentation mixed with themed sales and promotions is also very important. With QBD now buying book rights, reprinting titles, right through to distribution and sales across all fifty-seven outlets will always ensure plenty of books available at great prices. The future is bright for the industry and with more new locations on the horizon QBD will continue to be a major book retailer in Australia.